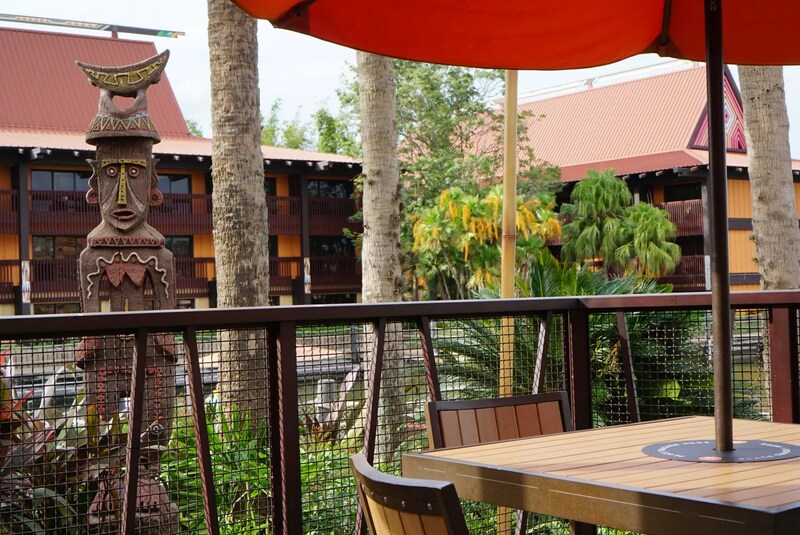 I arrived at the Tiki Terrace for Trader Sam’s shortly after it opened for the day at 3:30. 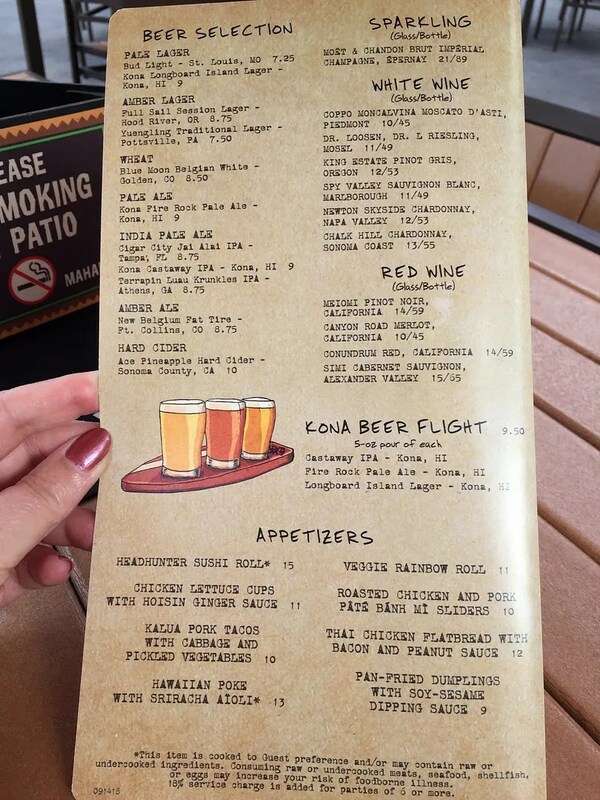 I had been here twice before, both times after putting my name on the waiting list to enter the very popular indoor bar of Trader Sam’s (Trader Sam’s Grog Grotto). This time though, being solo, I had no plans to go inside to the Grog Grotto, but instead I just wanted to relax outside on the terrace and enjoy the warm Florida weather. Having had no food in the last 8 hours I was starving so attempted to order an appetizer right away. Unfortunately though they don’t start serving food until 4:00, when the Grotto inside opens. This was very tasty and fairly potent, given that I was drinking it on an empty stomach. I had never heard of Barbancourt Pango Rhum so did some research. Apparently it is an aged dark rum that is made from pure sugar cane juice (not molasses like most rums) and hand blended with mango and pineapple (hence the “pango” part of the name). This makes it like a flavorful rum punch. 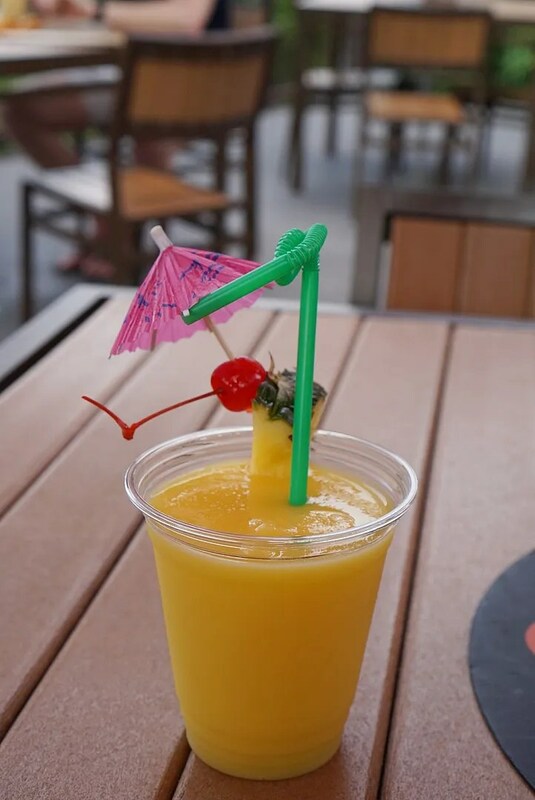 With the addition of the frozen pineapple soft-serve (think Dole Whip), this was the perfect sweet, fruity cocktail to kick off my trip. 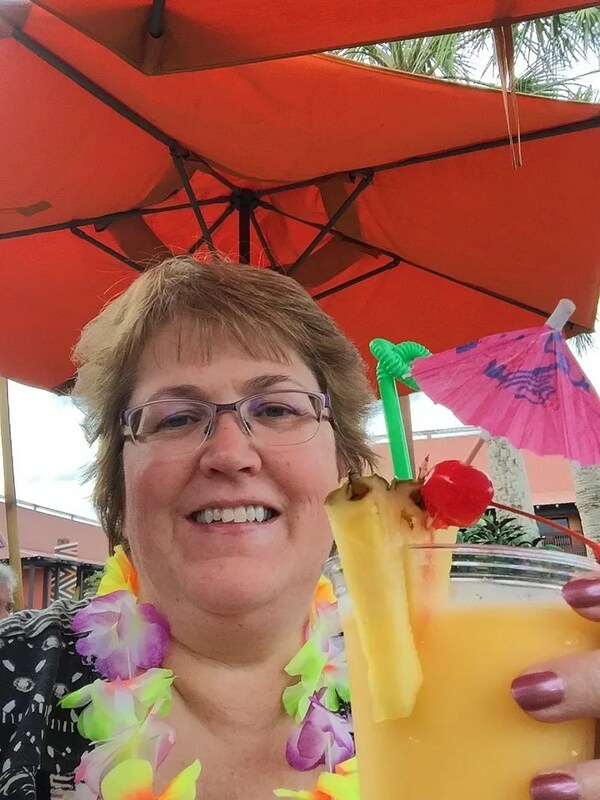 Also being frozen (the only frozen cocktail on their menu), it was a good way to stay cool in the warm Florida sun. 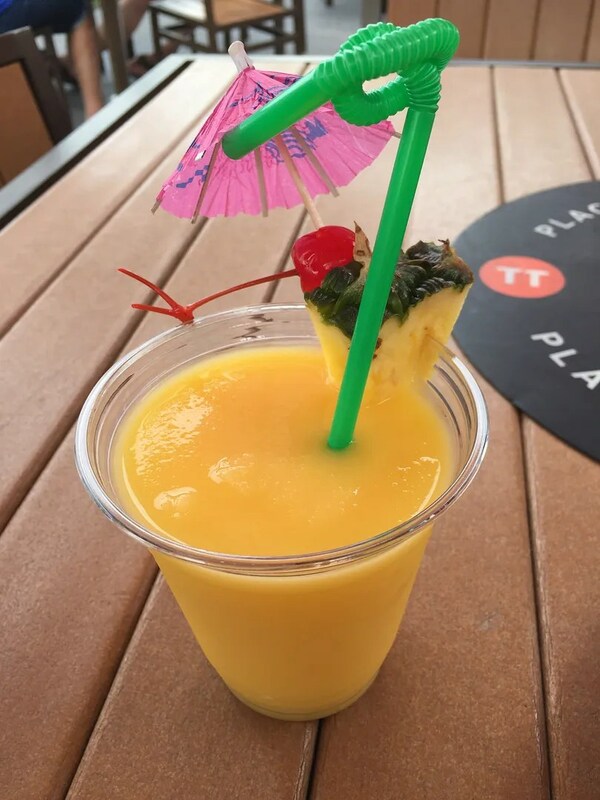 NOTE: A similar frozen cocktail to the Spikey Pineapple is available at the Polynesian’s Oasis Pool Bar (probably at the main pool bar too). It’s called a Frosty Pineapple and combines a pineapple Dole Whip with Captain Morgan Private Stock Rum for $.50 less (or $12.00). Unfortunately I never got over to either of the pool bars during my three night stay to see how the Frosty compares to the Spikey. Perhaps it’s something I need to check out on a future trip. 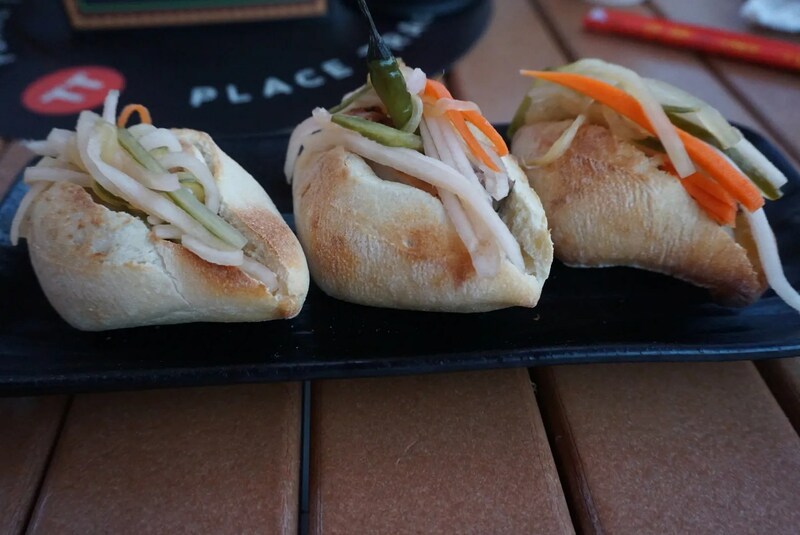 We had mixed reviews on these three appetizers. 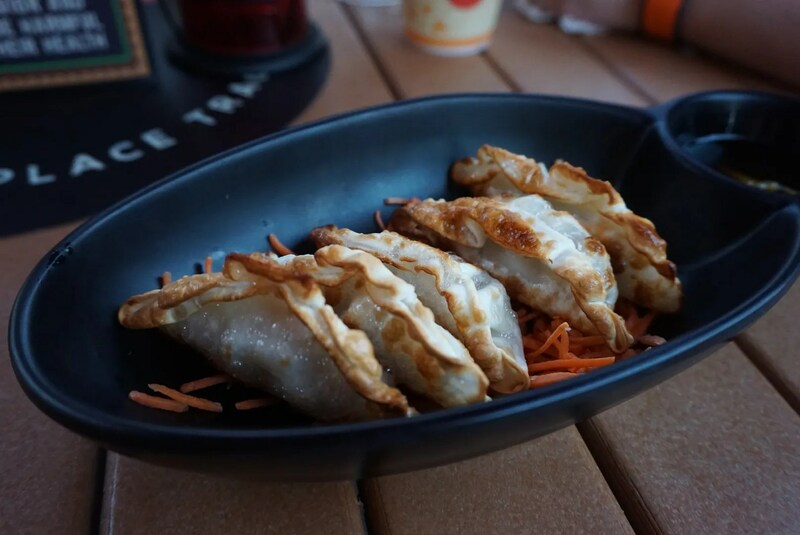 The potstickers were just okay, the tacos were pretty good, and the sliders were the best of the three. This was DELICIOUS! I really liked the thin, crispy crust. 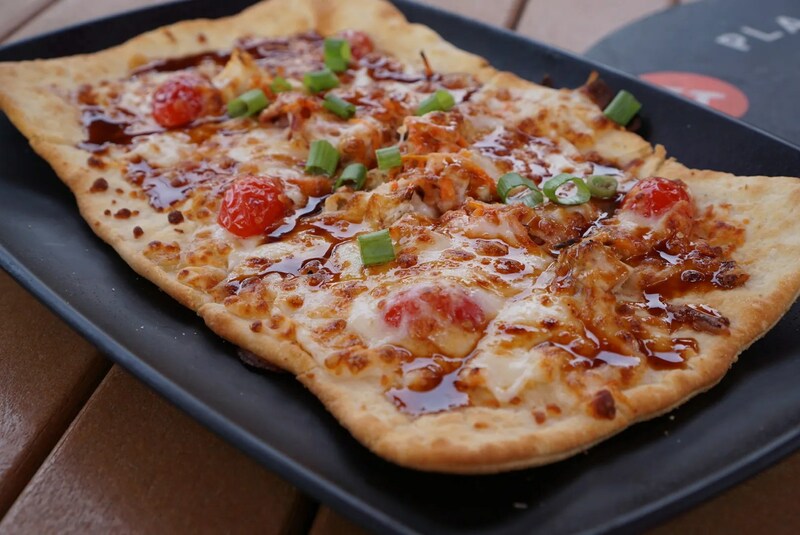 And while I’ve have had the chicken and bacon combo on pizza many times before (with barbecue sauce, ranch sauce, or a creamy garlic sauce), I don’t recall ever having them combined with peanut sauce on a pizza. I loved it! One note to add here. 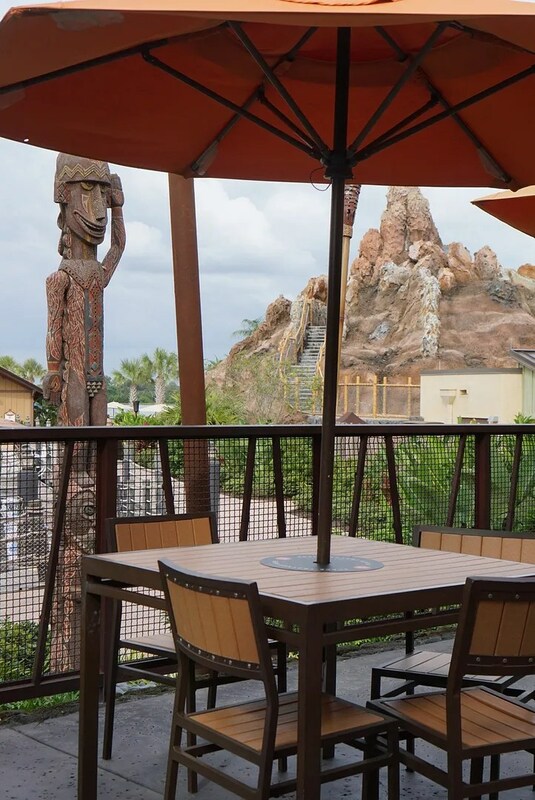 Though the Terrace is advertised to have live music on the Disney website and there was a musician performing during my previous two visits there, they had no live music during the hour or so (3:30ish – 4:45ish) that I was there this time. So perhaps this doesn’t start until later in the afternoon or evening?? 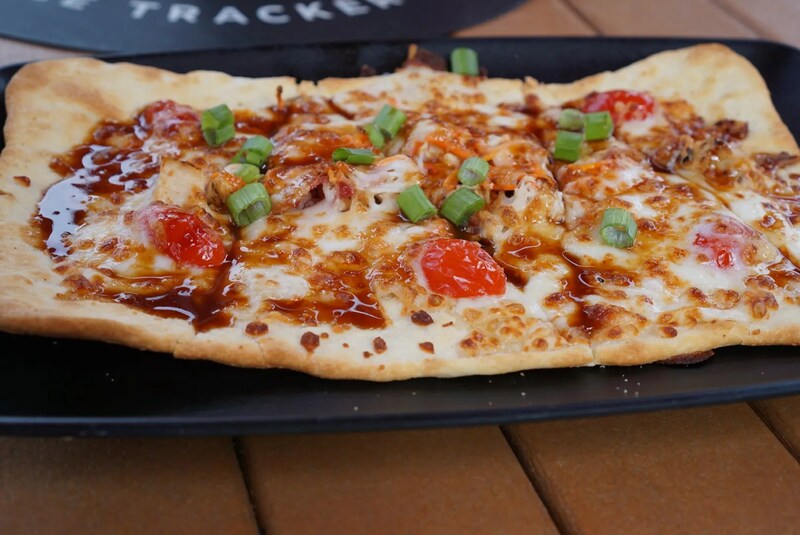 This flatbread is something I would make a point of returning to Trader Sam’s for so I hope they keep it on their menu for a long time. 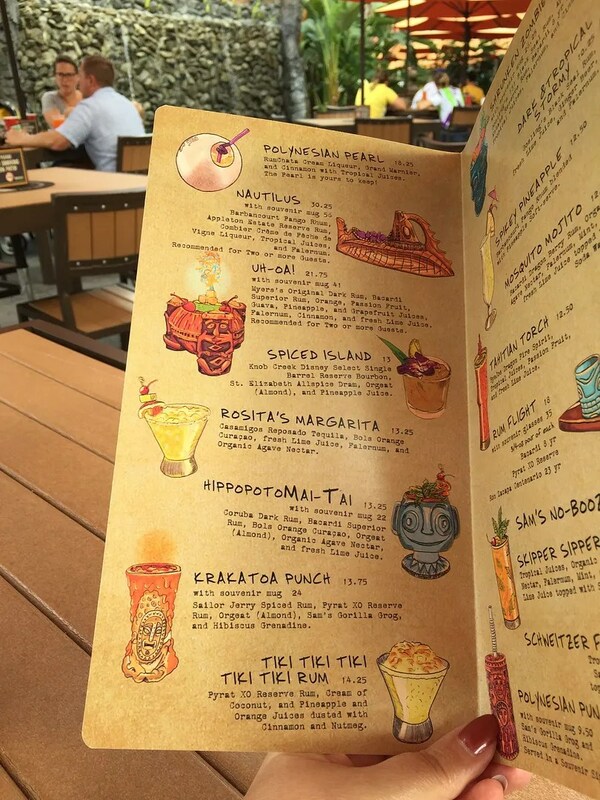 Based on this visit to the Tiki Terrace I would give it a rating of 4 1/2 stars, which is the same rating given to the Grog Grotto (which has the same menu/shares kitchen with the Tiki Terrace) by Trip Advisor reviewers. Yelp reviewers though rated it 4 stars. 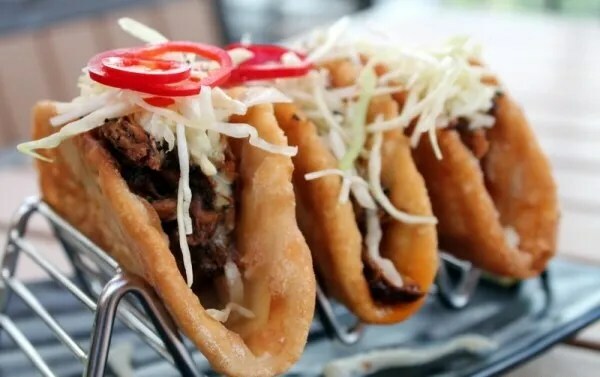 As for the Trip Advisor rankings, the Grotto ranks #99 of the more than 3,000 Orlando area restaurants reviewed there. 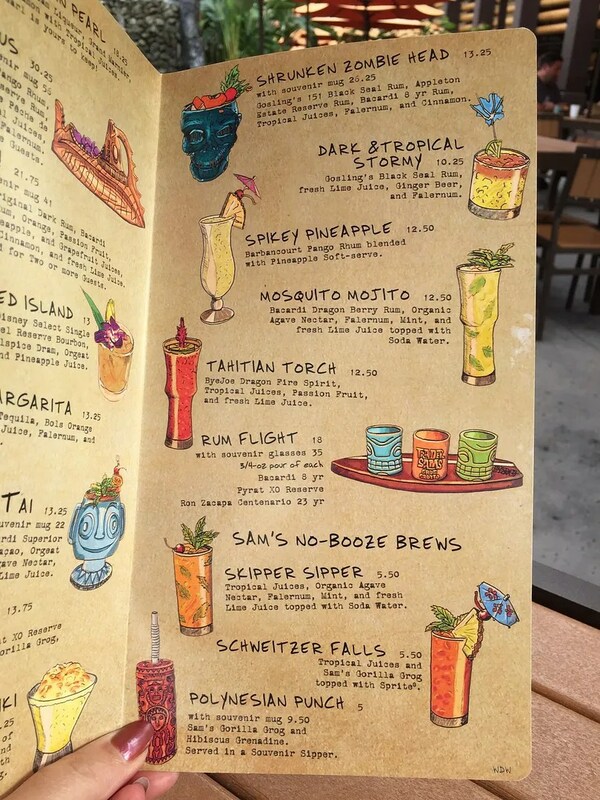 Narrowing it down to just the 300+ Disney World area restaurants, Trader Sam’s ranks #26.